Three years ago, when I first started getting those oval "AP" magnets for being a Disney Annual Passholder I thought... "How cool... there's no way I'm putting this on my car, someone will take it". Now though... I have so many oval "AP" magnets, I've considered putting them on other people's cars just to get rid of them. This year however, there's a crazy cool "I almost can't believe it" offer for annual passholders... a FREE Epcot Food & Wine Festival Port Wine Glass!!! 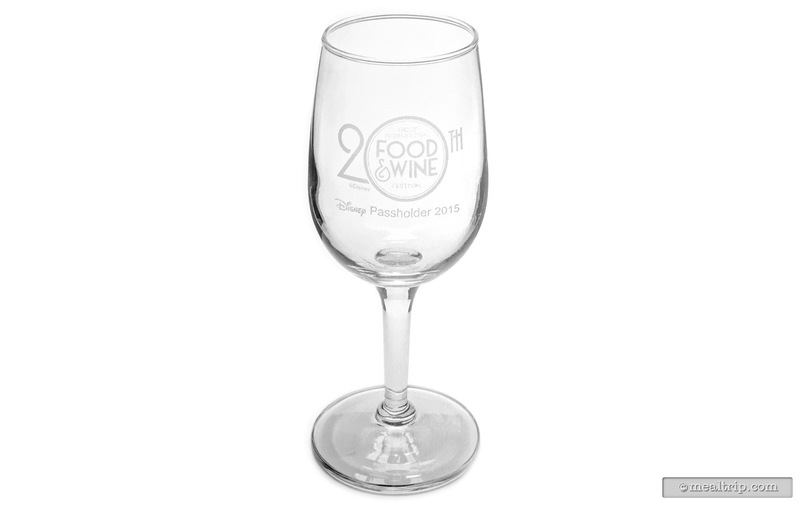 Disney Annual Passholders have the opportunity to get this cool 20th Anniversary Epcot Food & Wine glass!!! That's right... a FREE Glass! I can actually use one of those!!! You do have to actually do more than just show up though... you have to show up on three different days, and get stamps in your "passport". Ha!!!! I love it.... this totally means they won't run out on the first day!!!! As always, supplies are limited... but here's hoping they have enough for everyone that wants one! On your first visit to the Epcot International Food & Wine Festival, pick up your Festival Passport from any of the locations listed in your Guide Map. Be sure to have your valid Pass and valid photo ID with you... and get stamp #1. Stop by Innoventions East in Future World at Epcot each day that you visit the Food & Wine Festival—from 11:00 AM to 7:00 PM—to receive a special stamp in your Festival Passport. * (This would be day-visit #2) Be sure to have your valid Pass and photo ID with you. On your third day at the festival, return to Innoventions East with your completed, twice-stamped Festival Passport to receive your commemorative port wine glass** - while supplies last! *One stamp per visit per Passholder. **One commemorative port wine glass per Passholder per validated third visit. Port wine glass supplies are limited. Separate admission to Epcot® International Food & Wine Festival required. Valid Pass required for stamp and commemorative port wine glass redemption.